My one month in Brazil was definitely full of surprises. I hadn’t expected to love Rio de Janeiro so much, nor did I expect to feel so much at home in Belo Horizonte. Ouro Preto charmed me with its colonial architecture and very helpful people, while Iguazu Falls humbled me. It helped as well that Brazilians love animals; I was able to see, hug, pet, and kiss a cat almost everywhere I went. Out of the many highlights in Brazil, however, one that stood out was my time spent in Bonito. 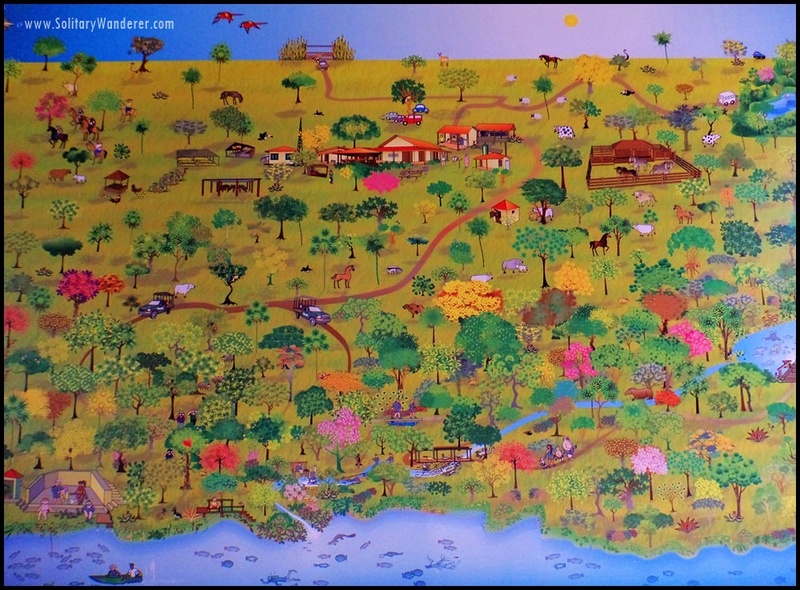 It’s a very small town in the state of Mato Grosso do Sul that tourists usually pass by on their way to the Pantanal (Brazil’s wildlife reserve) or to Corumba, the border of Brazil and Bolivia. Despite its size, Bonito excelled in one thing: sustainable tourism. Sustainable tourism seems to be the buzzword of marketing campaigns today. Many places claim they apply it in their tourism activities, and maybe for some, it is true. Coming from the Philippines where sustainable tourism is far from being implemented consistently, however, I was more than impressed when I learned how it was done when I went snorkeling in Bonito. Actually, the town itself is nothing to write home about. In the off season, the streets are mostly empty, except for its one main street (Rebua) where most commercial establishments are located. You can pass the time window (or souvenir) shopping, eating, or just hanging out at the plaza. Tip: go at night. The fountain looks nice, with its three huge fish sculptures. Out of town, however, is a different story altogether. 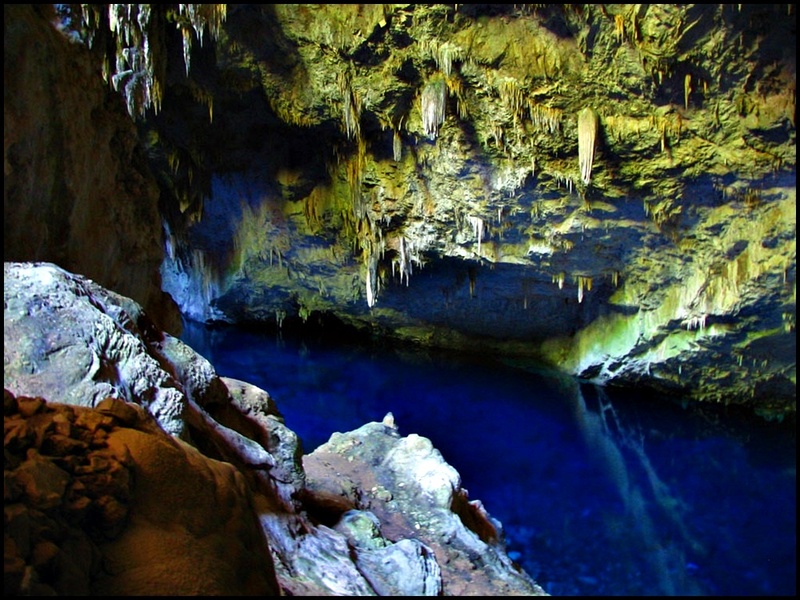 Tourists have the option to go trekking and snorkeling in Rio da Prata (“Silver River”); diving in Lagoa Misteriosa, a sinkhole with super clear waters reminiscent of the Enchanted River in the Philippines; swimming in the waterfalls of Estancia Mimosa; or go caving in Gruta do Lago Azul and Grutas de Sao Miguel. There is one thing common in all these attractions: tourist groups are brought there in limited numbers. At any one point, the maximum number of people in the place is from nine up to 12. 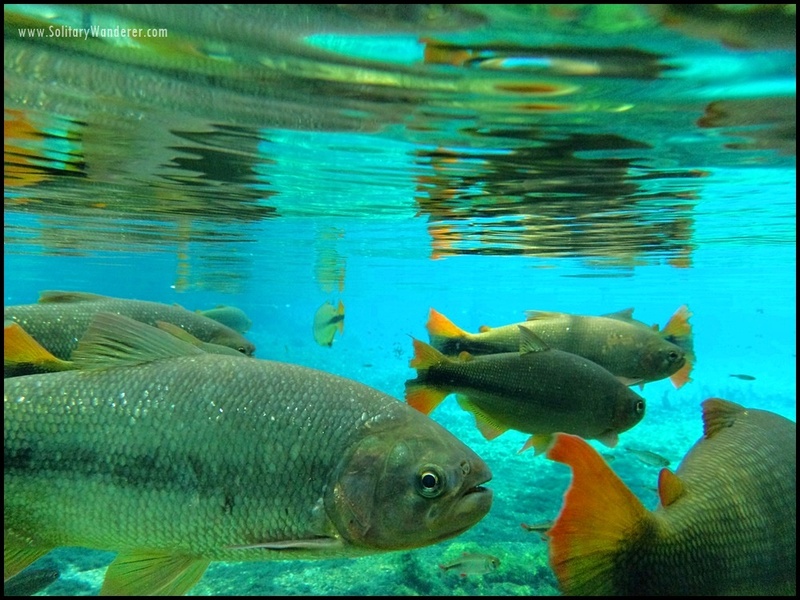 I booked my snorkeling tour to Rio da Prata via Papaya Hostel, where I stayed for the duration of my trip (I can highly recommend this hostel. Breakfast was good, WiFi was okay, and their dorm rooms were comfortable. Also walking distance to the bus station and the main street. Best of all: they have four cats!). The tour wasn’t cheap (then again, it’s Brazil); for 230 reais (around US$60), transport, guide fee, and equipment (wet suit, booties, goggles, and mask) were included. Lunch wasn’t though, and since I didn’t want to pay an additional 40 reais, I just brought my own sandwich. The truck that took us to the start of the trek. An hour or so after we left Bonito, we arrived at the office of Rio da Prata Recanto Ecologico, the organization managing the tourism activities in the area. We were grouped into six; each group had a time slot to go to the river. Only one group of six people each was allowed to snorkel at any one time. Wearing sunscreen or mosquito repellent was forbidden. While waiting, an English-speaking guide briefed us on what were were about to do. 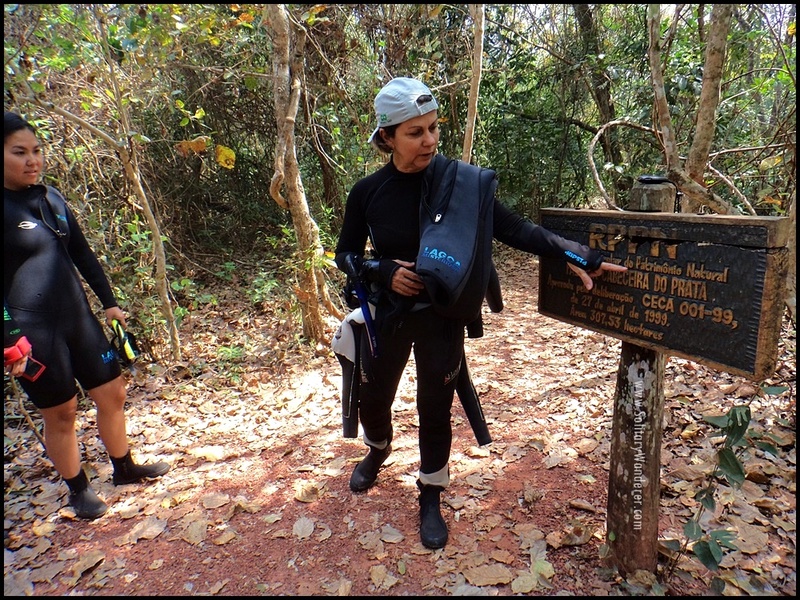 She said that we had to trek across the forest for 40 minutes before reaching the first river, Olho d’Agua (“eyes of water”), where we would start our snorkeling tour. Olho d’Agua (the short, narrow river in the illustration below) flows downwards to Rio da Prata. 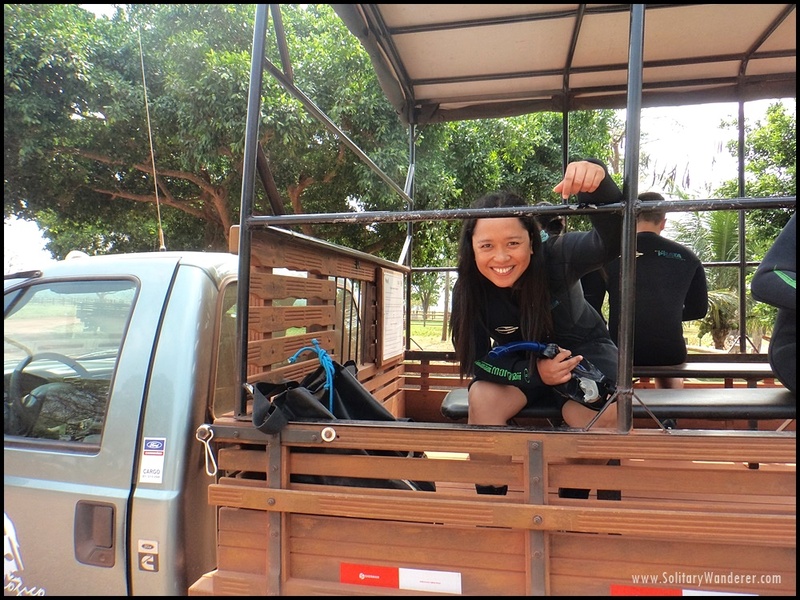 All in all, the snorkeling tour, together with the trek, would take three hours. Illustrated map shows the reserve. Rio da Prata is the river at the bottom. When our time slot came (11am, so we had to wait for almost two hours), we hopped on the back of a truck which brought us to where we were going to start the trek down to the first river. Unfortunately for me and one other guy, however, the trekking guide only spoke Portuguese. From time to time, two fellow tourists from Rio de Janeiro interpreted for us, but it was mostly 40 minutes of listening to the guide talk animatedly about the trees and the few wildlife we saw without understanding anything. Our guide at the start of the trek through the forest. 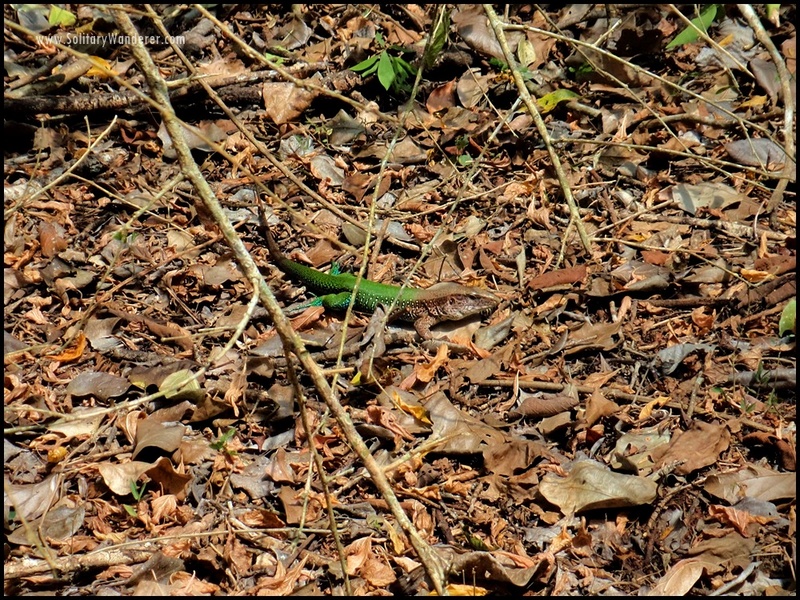 We saw some wildlife, like this one, on the way to the river. When we finally reached the river, however, everything was forgotten. 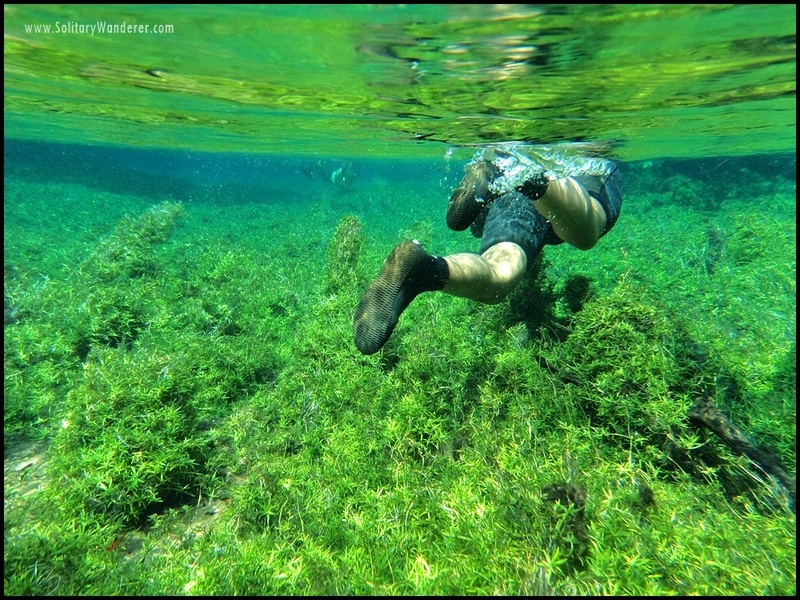 The water was incredibly clear; we were instructed to just float and not kick or paddle so as not to disturb the sand. There were no other people there; the group ahead of us were probably at the end of the tour already. We were all given a life vest; our guide insisted on it so that we wouldn’t have to stand up where we weren’t supposed to. 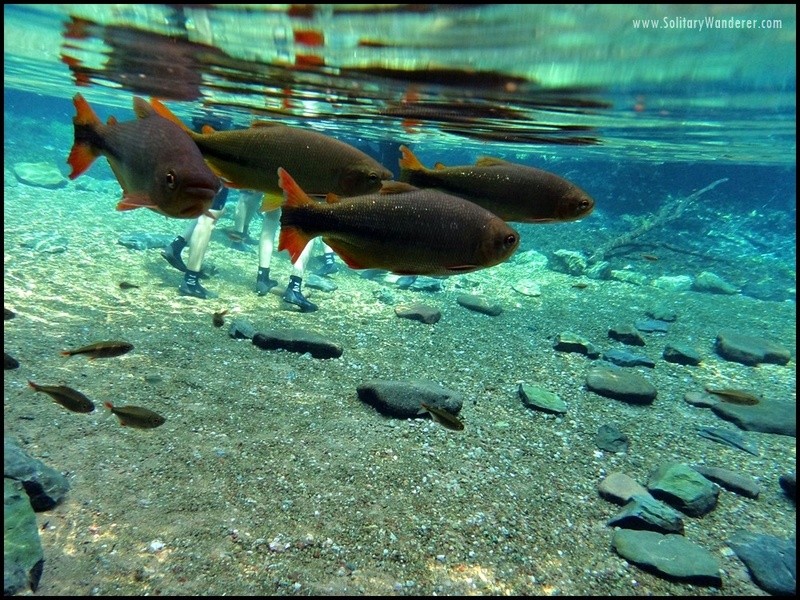 It was lovely to just float there; there were so many fish it was like being in a giant aquarium. 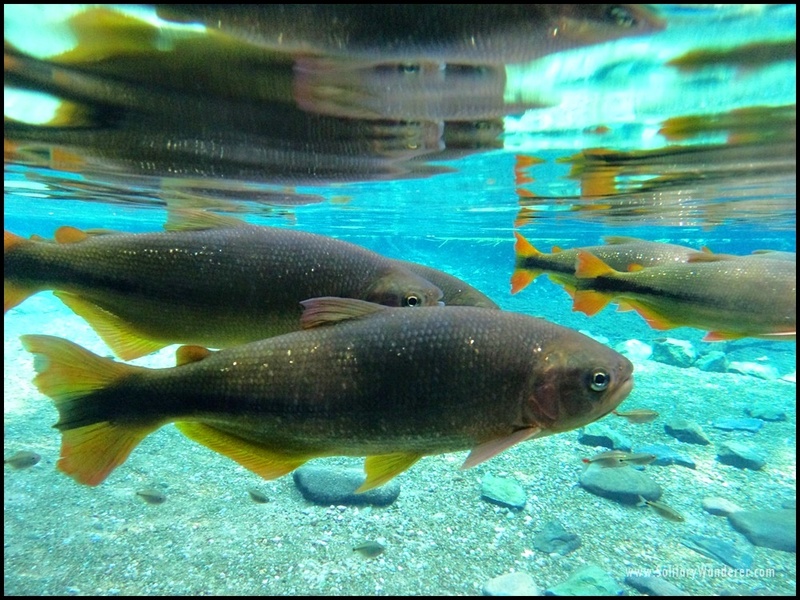 Schools of dorado (similar to trout, yellow-tailed), pacu (the black fish), piraputanga, and other kinds of fish swam near and around us, uncaring about our presence. Only floating is allowed; no paddling. When I stood still next to the “pier,” the smallest ones attached themselves to the exposed parts of my body and started nibbling. (Fish spa, anyone?) I was so glad I rented an underwater camera; it was so unbelievably beautiful there! We asked why the water was so clear, and our guide said that it was because of the high concentration of calcium carbonates in the river. The minerals take out the dirt and impurities as they descend to the bottom, leaving the water clean. All too soon, we reached the platform in Rio da Prata that was the end of our tour. We got out of our wet suits and put on the dry clothes that our truck driver had brought there. There were changing rooms, yes, but showers no, and definitely no soap and shampoo! We couldn’t even bring food or water there so as not to feed the animals. So: limited number of people at the sites, no sunscreen, insect repellent or food, no showers. These are just some of the ways they ensure that tourists leave minimum impact on the sites. It’s working; the waters are clear and the fish is abundant. Bonito’s efforts at sustainable tourism hasn’t gone unnoticed. It was the winner for Best Destination for Responsible Tourism in the 2013 World Responsible Tourism Awards. 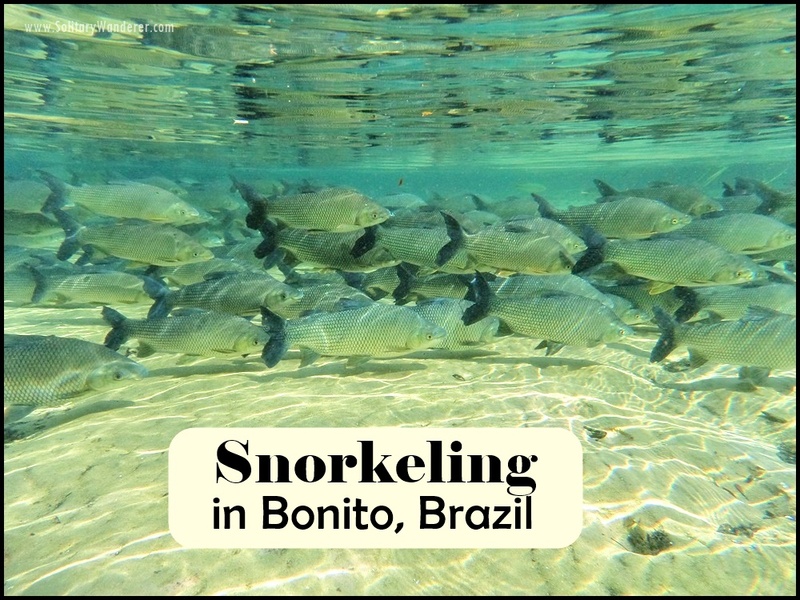 If you want to see what a small town can do to protect its natural resources, visit Bonito in Brazil! How about you? What other sustainable tourism practices have you encountered? Loved this! Was there as well. Bonito was nothing short of unforgettable. Bonito is amazing! I’ve been there some years ago! I have recently started writing about my travels… check it out! BTW, did you attempt to dive down to deepest part of the river where the natural spring was? I tried to, but failed miserably because my wetsuit was too buoyant. I was fortunate enough to do this back in June 2014. I was so impressed by the clarity of the water. Definitely Brazil’s best kept secret! I’m glad I found the chance to go there too. One of my best experiences in South America. Wow! Those are huge fish! Would definitely love to snorkel here. That is the beauty of slow travel where you’re on your schedule and you get to places where no other tourists goes and you get to learn how they do things that SHOULD be applied to our country as well. It’s amazing how in other countries, they find a way to get the people/citizens to buy into the concept/program of preserving the natural resources without a hit to the people’s means of livelihood. Do you think the we, the Filipinos, can be disciplined enough to put the health of our natural resources over the greed of our pockets? I think we need A LOT of education regarding sustainable tourism. I was snorkeling with a local fisherman once when I saw he was pounding a coral underwater with a big rock, only because he wanted the octopus hiding inside to come out! I was aghast. It’s unthinking destruction like that that needs to be addressed. 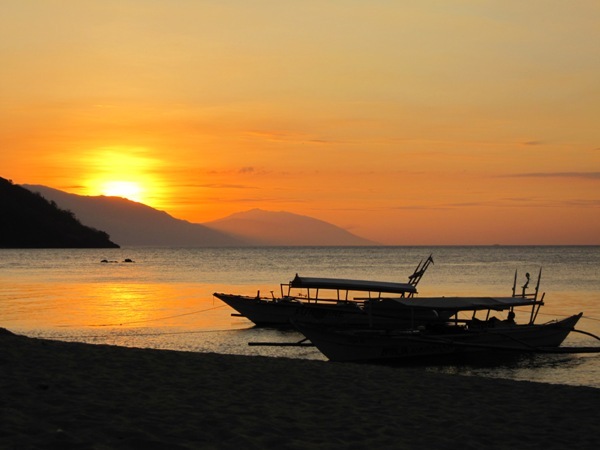 The Philippines has to get its act together before our natural resources go the way of Boracay. Snorkeling in Bonito was indeed fantastic, one of the best I have ever experienced in my life! Yes, the mesure the local government takes surely help protecting these unique rivers, the wildlife & the fauna. There are unfortunately far too few exemples of real sustainable ecotourism, which is more often than not just a marketing claim. Wow! muito linda lugar! I truly admire how Brasileiros take initiatives about responsible tourism. Hope we can follow the same.